Following up after a business networking event is, in my opinion, more important than what you say or do at the event itself. And yet many people never ever follow up, perhaps because they don’t know how to. This short, five part guide I hope will help as it deals with why you need to follow up, followed by some ideas on how to. How to follow up after networking events #5 – When is it ok to sell? 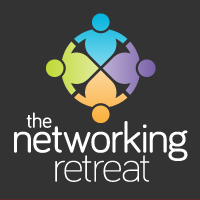 If you’ve found this useful, and want to make your networking even more successful, join me at The Networking Retreat in Oxfordshire – I even offer payment plans, contact me for details.